Provides intellisense and icons for office ribbon files (idMso and imageMso values). The extension provides autocomplete for CustomUI for office ribbon (means, auto-complete for the built-in item identifiers, like idMso, insertBeforeMso, insertAfterMso and imageMso). 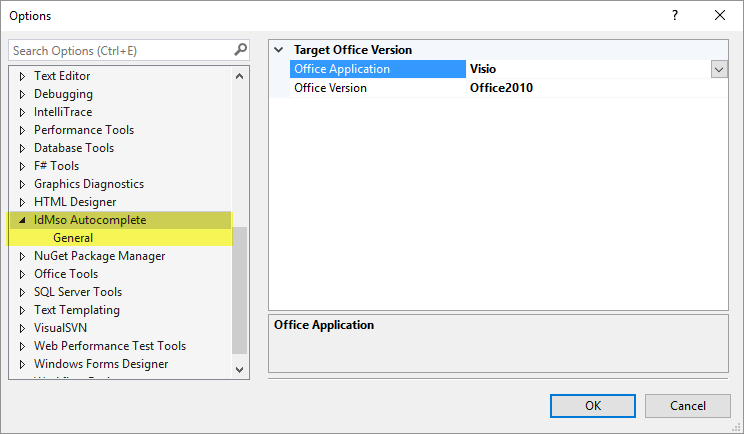 Extension supports all office applications and is enabled by opening XML file in the Visual Studio editor, which belongs to customUI namespace, i.e. "http://schemas.microsoft.com/office/2009/07/customui" or previous version. For the Visual Studio 2015 Version of the extension, please see my other extensions.